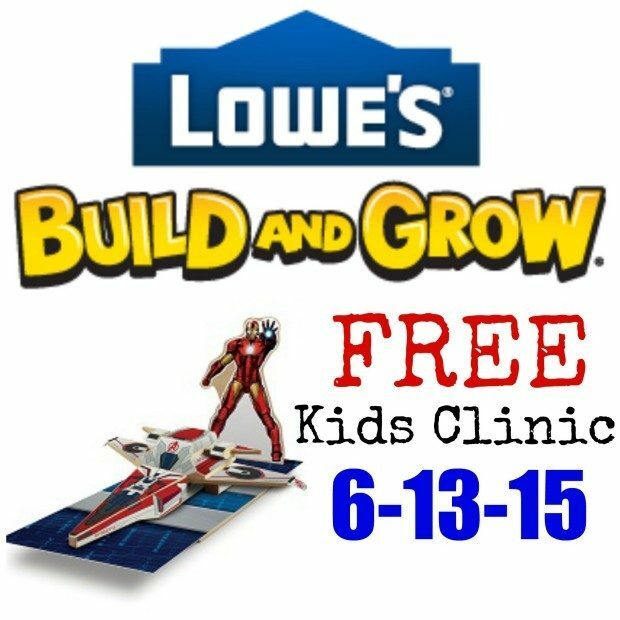 FREE Lowe's Build and Grow Clinic On June 13! You are here: Home / FREEbies / FREE Lowe’s Build and Grow Clinic On June 13! FREE Lowe’s Build and Grow Clinic On June 13! Mark your calendars for a fun event at Lowe’s – on July 13, head to your local store for the FREE Lowe’s Build & Grow Clinic! Kids will be able to make Iron Man’s Avenjet! In addition, kids will get a patch for their apron and a certificate of completion! The Avengers are coming to Lowe’s! Bring in your child to build Iron Man’s Avenjet as part of our “Marvel’s Avengers Assemble” Summer series. Make sure you head over here to register your child!